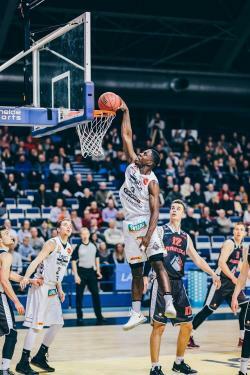 Heinrich Sports is excited to announce that Henry Pwono has recently signed a contract to play with the Southwest Metro Pirates for the 2019 QBL season in Australia. The team already made the announcement on its Facebook page. Last season the Pirates finished in 10th position and Henry will move to Brisbane once his job in Finland is completed. Henry is currently playing for Lahti Basketball Club. His team is set to begin their finals matchup on Monday, April 15th. Immediately following the season in Finland, Henry will head to Australia. His contract with the Pirates lasts until August. Currently Henry is averaging 18ppg, 8rpg, 2.4apg and 1.3spg in 27 minutes.